South Devon; some of the best beaches in England, stunning coastal walks and beautiful countryside. 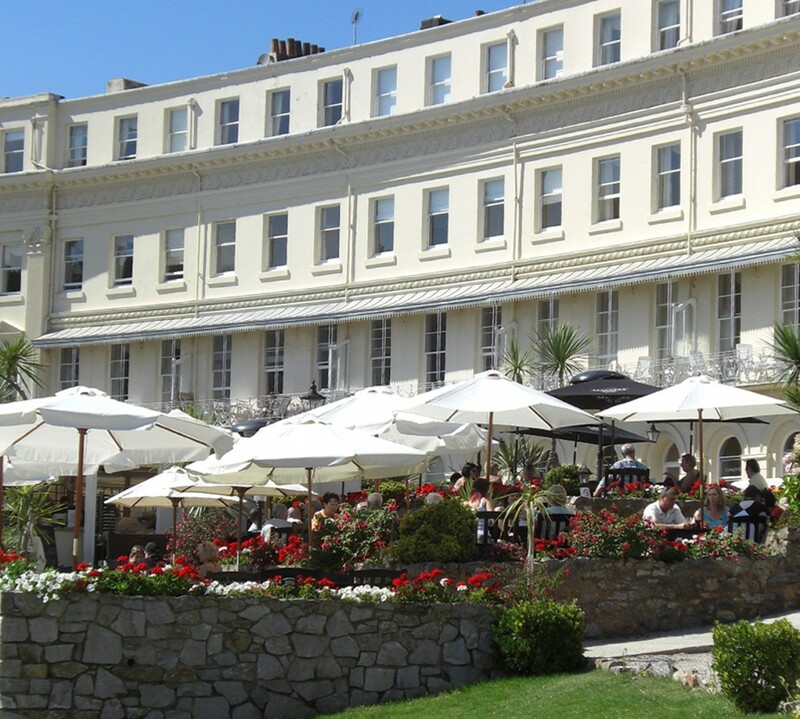 Explore the culture and history of our county with our guide to the best outdoor places to visit, which are all within 10 minutes of the Osborne Hotel. The Marine Conservation Good Beach Guide lists Broadsands Beach, Hollicombe Beach and Preston Sands in Paignton amongst its top recommended beaches. The beaches are family friendly, safe and clean. There is a huge range of water sports on offer from kayaking to water skiing. The sands are lined with cafes, shops and pubs – so after all the sand castle building, you can recharge before heading back to the hotel. The South West Coastal Path was originally formed as coastguards walked the cliff tops watching for smugglers. Today the 630 mile long path is the longest National Trail in the country. Starting at Minehead in Somerset, it runs along the coastline of Exmoor, continuing along the coast of North Devon into Cornwall. Running in front of the hotel, follow the path from Meadfoot; head north (keep the coast on your right as you walk) and climb the hill to Thatcher’s Point, Hopes Nose and around to Anstey’s Cove. Walking south will take you to Daddyhole Plain; a limestone plateaux which offers great views of the bay and harbour. The coastal path travels through an area once cultivated by Victorian gardeners but is now preserved as a wildlife conservation area, rich in rare plants with its own colony of the nationally endangered horseshoe bats in a former wartime lookout post. Watch out for the Devil in his limestone cave! Only 10 minutes’ drive from the hotel is the quaint village of Babbacombe. Enjoy a peaceful stroll around the independent shops and tearooms before exploring the pretty coastal and woodland walks which offer spectacular views and a treasure trove of hidden coves. No visit to Babbacombe is complete without a trip to the model village or cliff top railway. The railway was built in 1926 and takes visitors down the 240-foot cliff face to Oddicombe beach. Cockington Country Park and Gardens is an award winning country park and is part of the UNESCO English Riviera Global Geopark. A paradise for walkers, gardeners, nature lovers and families alike, the park contains wild woodlands and formal landscaped areas, such as the rose garden, arboretum and ornamental ponds. Kents Cavern is one of the most important Stone Age sites in Europe. It is a geological Site of Special Scientific Interest (since 1952) and a Scheduled Ancient Monument (since 1957). As you walk through the extensive labyrinth of caverns, you’ll be surrounded by 400 million year old rocks and spectacular stalagmites and stalactites. All tours are guided so you will need to check the times before you arrive. Planning a trip to Torquay? To get the best rates and terms it is best to book direct. Stay and dine at the Osborne Hotel this winter and take advantage of our special package – £60 pppn for dinner, bed and breakfast. To read more about this offer, visit > http://www.osborne-torquay.co.uk/offers.